It seems that TBIT isn’t the only way to fly from LAX anymore. While Virgin Atlantic recently opened their new Clubhouse in Terminal 2, sister airline Delta are bringing a bit of their magic to the passenger experience across the car park in terminal 5. 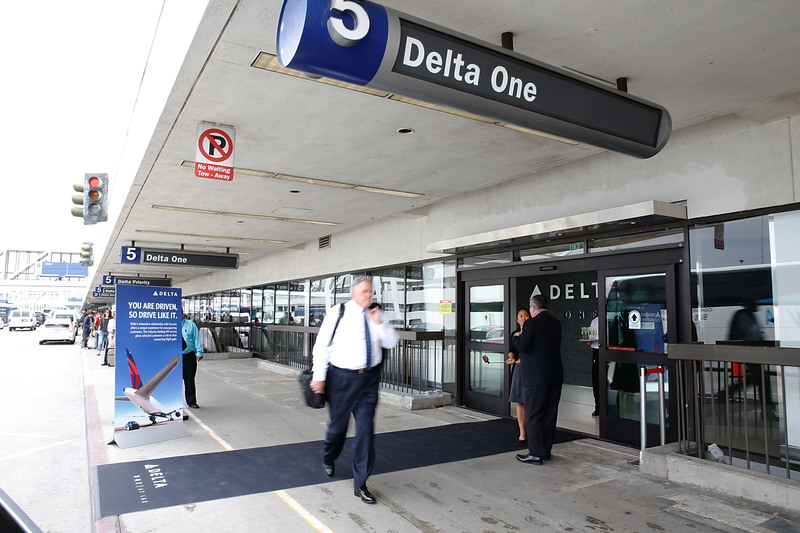 Costing US$229million, the terminal wide renovations have now come to a close, with the final touch brought in the form of a private check-in experience for their International business class passengers, known as ‘Delta ONE’ since March this year. 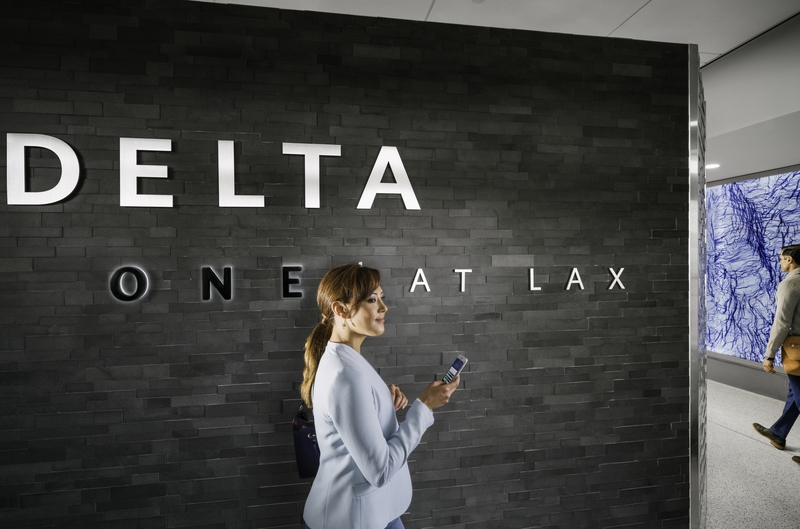 Delta ONE at LAX provides an innovative premium check-in experience at LAX similar to Virgin Atlantic’s ‘Curb to Club’ philosophy in Heathrow. Customers flying in Delta ONE enter the terminal through a dedicated curbside entrance, leading to a private, modern check-in lounge with personalized luggage check, high-design atmosphere, and a refreshment bar. 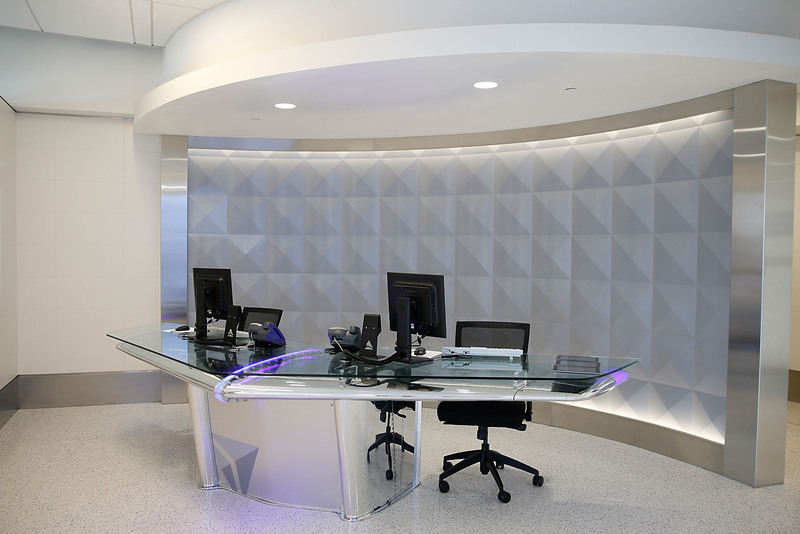 Customers also access a dedicated security checkpoint directly from the Delta ONE at LAX lounge. But this impressive entrance to T5 isn’t just a skin deep promise to their business class passengers. 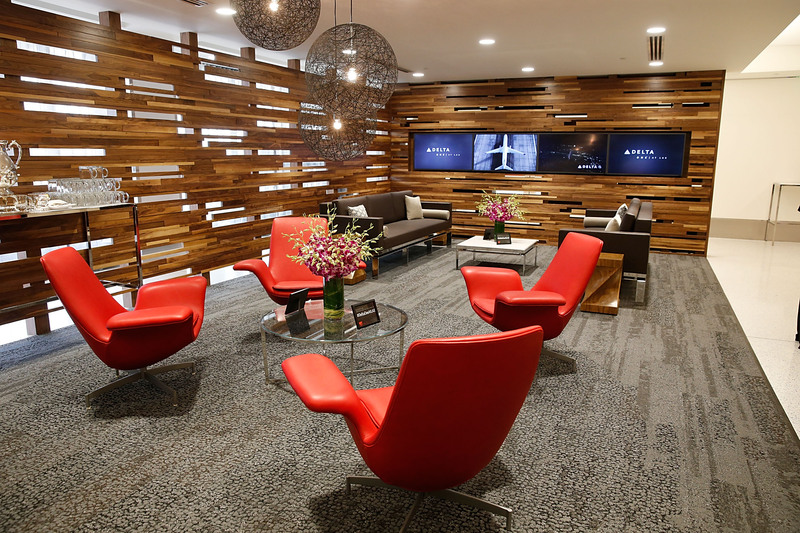 A renovated Sky Club offers more space and an improved customer experience, including 100 additional seats; new shower suites and renovated bathrooms; an updated food area with cafe seating; and new furnishings and fixtures. New restaurants and shops in Terminal 5 feature celebrity chefs and retail brand names that reflect the cuisine, culture and lifestyle of Los Angeles. Design is paramount to Delta now, and they are fast emerging as a real contender to be one of the big three carriers in the US to gain a true ‘designer’ kudos, with smaller rivals Virgin and JetBlue already staking their claim in this arena. It’s the attention to detail they are now spending on brand image, and this is evident in this new check in area. The desk found as you enter is the top of a DC-9 horizontal stabilizer – also referred to as the back ‘T- tail’. This particular aircraft had a long airline career and a Southern California history, built in Long Beach by McDonnell Douglas in 1975. How apt that Delta was an original operator of the DC-9 starting in 1965. But it’s not all ‘front of the plane’ at T5. Other enhancements include new jet bridges; a renovated Sky Priority lobby; an expanded ticketing lobby and four additional security screening checkpoints; and new baggage carousels and international baggage recheck facilities meaning that all passengers will start to see the benefits. Infact, Delta is so confident of their new product they’ve even created a new moniker. “LAX to LUX” which passengers can explore in detail on their new microsite.